Here is a cool red band trailer for a film called High Road from comedian Matt Walsh. 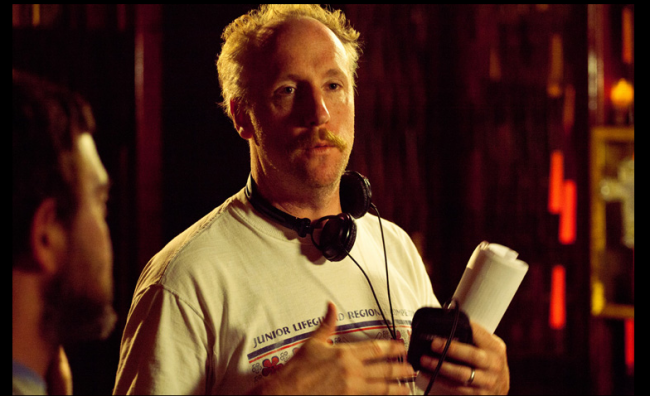 Walsh is one of the founders of the Upright Citizens Brigade and has starred in some hilarious films (Old School, Bad Santa, The Hangover) and TV shows (Arrested Development, Human Giant, Reno 911!). Walsh wrote and directed this improvised film about "a pot-dealer whose world is turned upside down when he’s forced to flee when a deal goes bad. The film stars a who's who list of today's top comedians, including Rob Riggle, Lizzy Caplan, Abby Elliot, Joe Lo Truglio, Rich Fulcher, Horatio Sanz, Zach Woods, Matt Jones, Ed Helms and Kyle Gass. The film debuts on April 29 th at the Newport Beach Film Festival. A theatrical release date has yet to be announced. You can clearly tell that the film is improvised. I almost think it would have been funnier if it had not been. If you are a fan of dark humor and pot comedies then High Road is the movie for you. Check out the trailer below and share your thoughts! Trailer for HIGH ROAD Looks Hilarious!